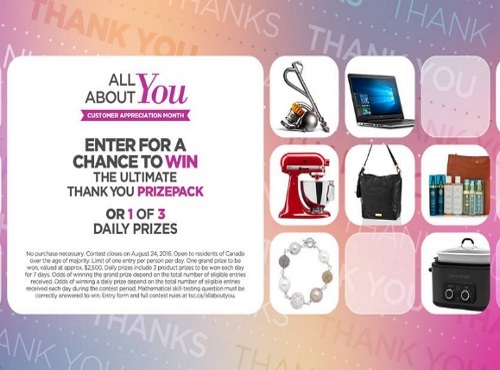 The Shopping Channel has a contest during their All About You Customer Appreciation Month! Enter for a chance to win the ultimate thank you prize pack or 1 of 3 daily prizes! The Grand Prize Winner will receive 1 of each of the daily prizes! One entry per person per day Contest closes August 24, 2016.